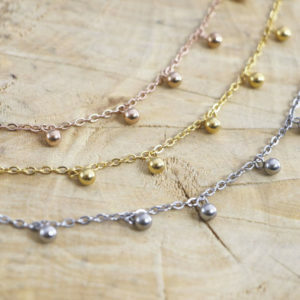 Delicate Double Chain Anklet! Adjustable in size via the extension chain. 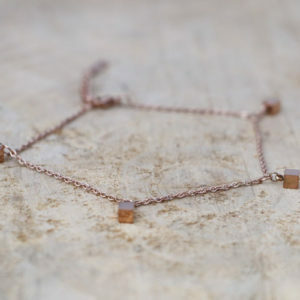 Delicate Stainless Steel Anklet with dangling square pendants! 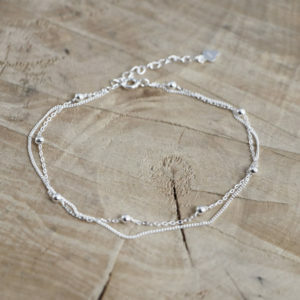 Delicate Stainless Steel Anklet with dangling ball beads! 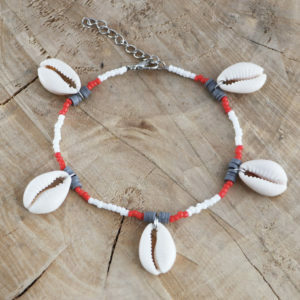 Cute Macrame Cowrie Anklet! 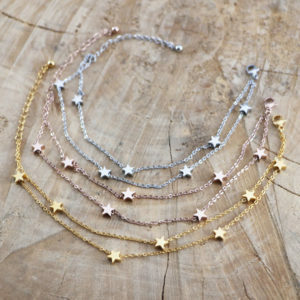 Available in multiple different colors of thread. 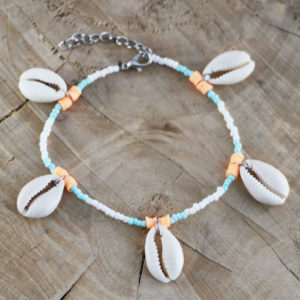 The anklet is adjustable in size. 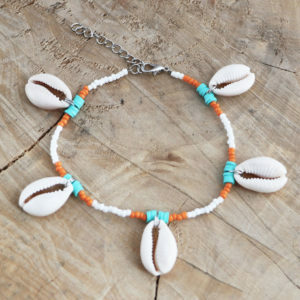 Cute Cowrie Anklet! Adjustable in size via the extension chain. 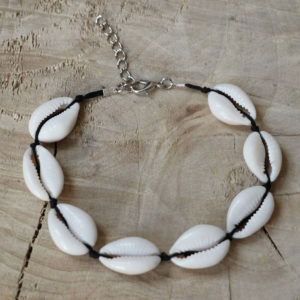 Cute and simple handmade anklet with wooden cube beads!